More maps have surfaced as suggestions for redrawing our Congressional districts, but they share similar characteristics. State lawmakers must redraw Congressional districts after every Census, but this year is different. “I mean, listen, if we had nine districts, we wouldn’t be talking about this, but you’re going to have some drastic changes whenever you lose a congressional district,” says House Speaker Steven Tilley, a Republican from Perryville. Tilley favors the proposal of the special committee he appointed on redistricting. 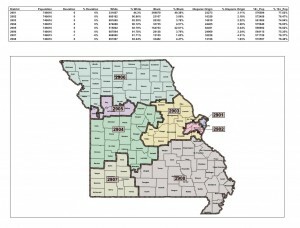 It reduces the Congressional districts in St. Louis from three to two. 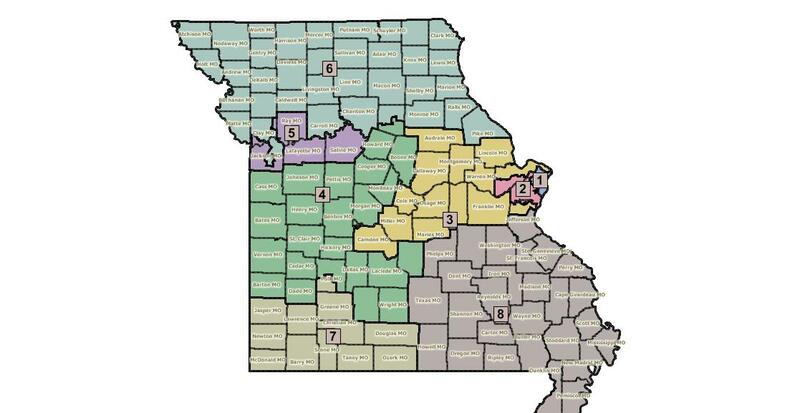 It creates a new 3rd District that wraps around St. Louis and extends west to central Missouri. 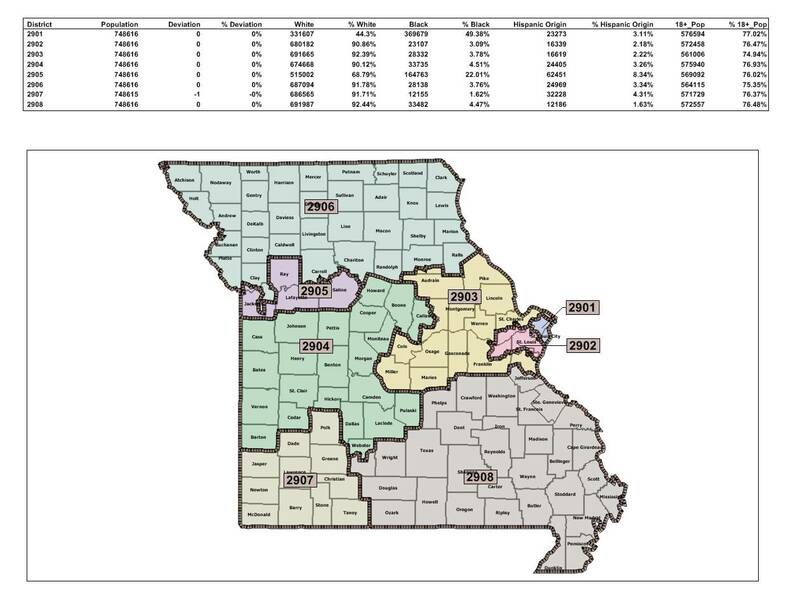 The 4th loses some of central Missouri and picks up more in southern Missouri. 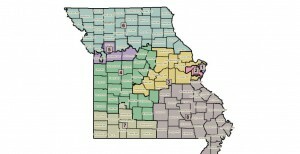 The 5th branches out from Kansas City to three rural counties to its west. It widens the 6th Congressional District across the northern third of the state, creating a big agricultural district. The 7th centers around Springfield and the 8th stays solidly in southeast Missouri, though it bumps up next to St. Louis. House Committee Chairman John Diehl, a Republican from Town and Country, reacts when a reporter shows him the map proposed by a Senate committee. “Well, it looks, off the top of head, fundamentally the same as ours,” Diehl tells the reporter. Diehl says the similarities between the maps give him confidence the legislature can settle on a map. Speaker Tilley says the ultimate test of any map is whether it can attract the votes to pass the House, which would be 82. But House leaders want much more than a simple majority. They want a two-thirds majority: 109. If House leaders can hold 109 votes, they can be assured of overriding any gubernatorial veto.